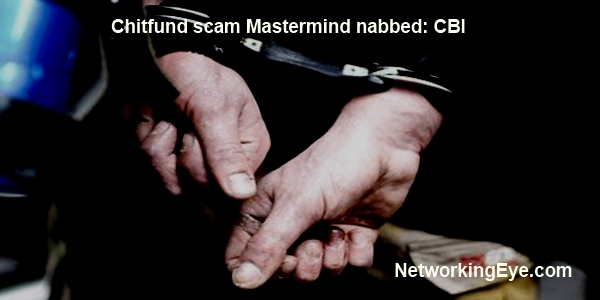 Abu Sadeque Ishtiak Ahmed Choudhary, Chit fund scam Mastermind from Tripura got nabbed on Wednesday at Kolkata. He was hiding there from quite sometime, he duped around Rs 11 crore from a many gullible investors of Tripura. CBI was looking for Chowdhary since last October. Chowdhary is a Managing director of Daffodils Associate limited and the company duped around Rs 11 crore of the investors. A CBI official said, Daffodils Associate limited promised for a higher rate of return against the investment and collected over Rs 11 crore from Investors.